The New York Legislature is currently considering a bill that would create a new title for dietitians and nutritionists—“Licensed Dietitian/Nutritionist” or “LDN”—and creates one licensing procedure for both instead of providing separate licensing for each. Moreover, a majority of the new board would be ADA members, and they would have the power to decide which exams are allowed—and which are not. The state’s Senate Finance Committee met on June 13 and decided to pass S.3556 to the Rules Committee so that it could be considered on the Senate floor. Emails are great, and we hope you will continue to send emails through the Action Alert form below—but real impact would be felt by calling representatives all on the same day. To find your New York Assembly Member's telephone number, click here. To find your New York Senator's telephone number, click here. 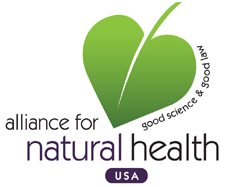 Yes, I would like to receive periodic updates and communications from Alliance for Natural Health USA. I am writing to voice my strongest opposition to a bill that was recently introduced. A.5666 and its companion bill, S.3556, creates a new title for dietitians and nutritionists--"Licensed Dietitian/Nutritionist" or "LDN"--and creates one licensing board for both instead of providing separate licensing for each. One huge problem is that the new bill says that a majority of the board will be composed of members of the American Dietetic Association, and they will be empowered to choose which examinations are accepted in the credentialing process. An ADA-majority board will accept only the ADA examination. If you think that would not be the case, you need only look at the other credentialing elements in the bill: they are straight out of the ADA handbook. It would be a disaster if the ADA were to become the sole credentialing agency. This is the organization that lists among its corporate sponsors soft drink giants Coca-Cola and PepsiCo, cereal manufacturers General Mills and Kellogg's, candy maker Mars, and Unilever, the multinational corporation that owns many of the world's consumer products brands in foods and beverages -- not what most would say are the healthiest foods to be consuming. Giving the ADA a monopoly in the field of nutrition is bad for the economy. It removes competition in the field of healthcare services, dampens freedom of choice in healthcare, threatens to increase chronic health indicators among New York citizens, and penalizes a higher standard of education and training -- many nutritionists have Masters and PhD degrees, and most dieticians do not. Nutritionists and dietitians employ differing therapeutic philosophies with different degrees of expertise and training. In general, nutritionists have comprehensive knowledge of how nutrition impacts the whole body; they focus on medical nutrition therapy, metabolism, and biochemistry; and they work primarily in private practice settings conducting one-on-one nutrition counseling. Nutritionists practice an integrative approach to medicine and concentrate on prevention and treatment of chronic disease. Dietitians, on the other hand, are experts in nutrition science with training focusing on institutional diets and food service management -- developing diets for hospital patients, school food service programs, and nursing homes. Because of the substantial differences between the two professions, conflating them and governing their licensure with a single Board is unfair. There should be separate licensing processes for nutritionists and dietitians. These are different philosophical approaches to nutrition therapy, and they should be recognized as such. There need to be separate boards for nutritionists and dieticians, and separate examination requirements as well. I strongly oppose A.5666/S.3556, and ask you to fight for its defeat.